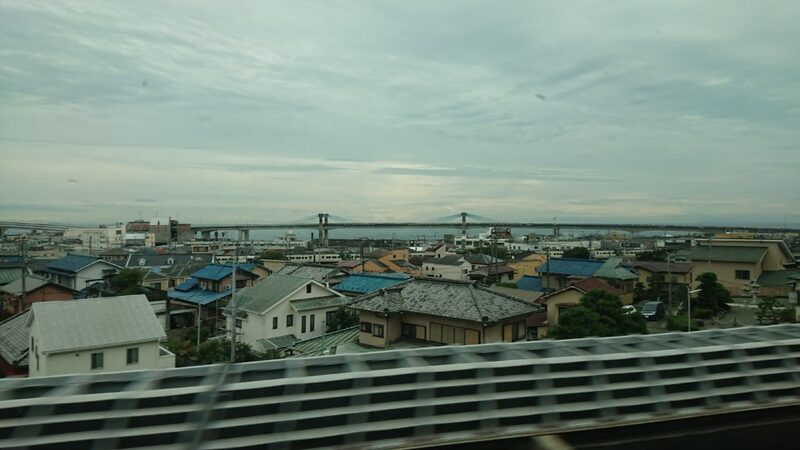 On the Hikari Shinkansen to Tokyo. Had to run to make it due to too much shopping. Mt Fuji is obscured by cloud.